We had a good chat, our first class on the word, about parts of speech and their different powers. I laid a trap by asking, Which part of speech has the most bang for the buck? Adjectives, I was waiting to hear, adverbs. They didn’t fall for it. Verbs, they said, nouns. Yup. But I was headed for the lowly preposition. To get there I told a story. 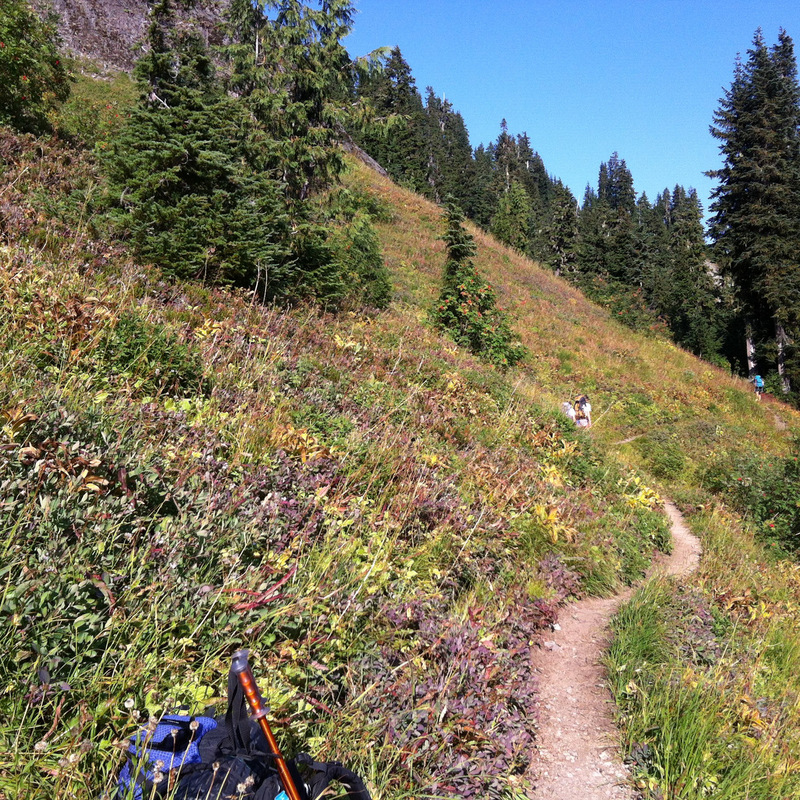 I had been backpacking a couple weeks earlier in the North Cascades. The first day we were sunriddled. The next day some clouds came in. Through the afternoon they kept on coming. 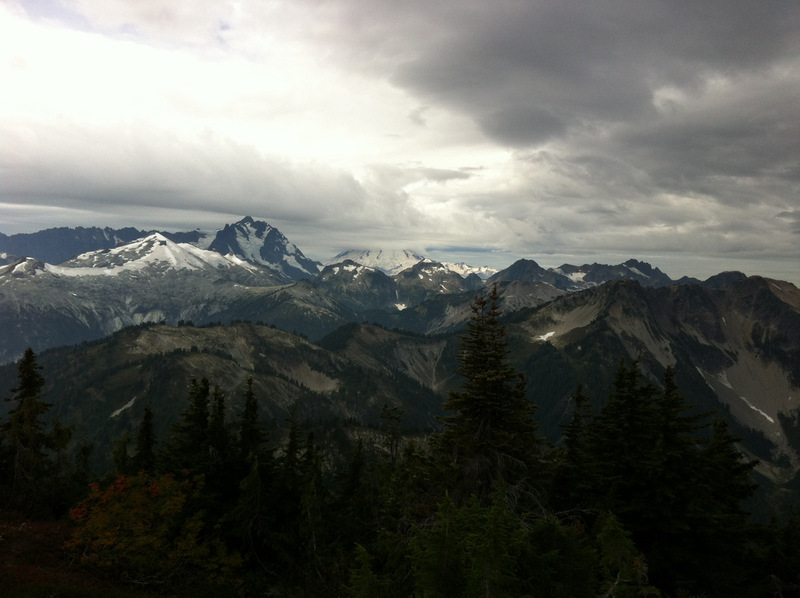 The two peaks are Shuksan and Baker. It was spitting rain by the time we set up camp 4000 feet lower by the Chilliwack River. All the next day was rain. Sorry no pictures. Had to keep moving. 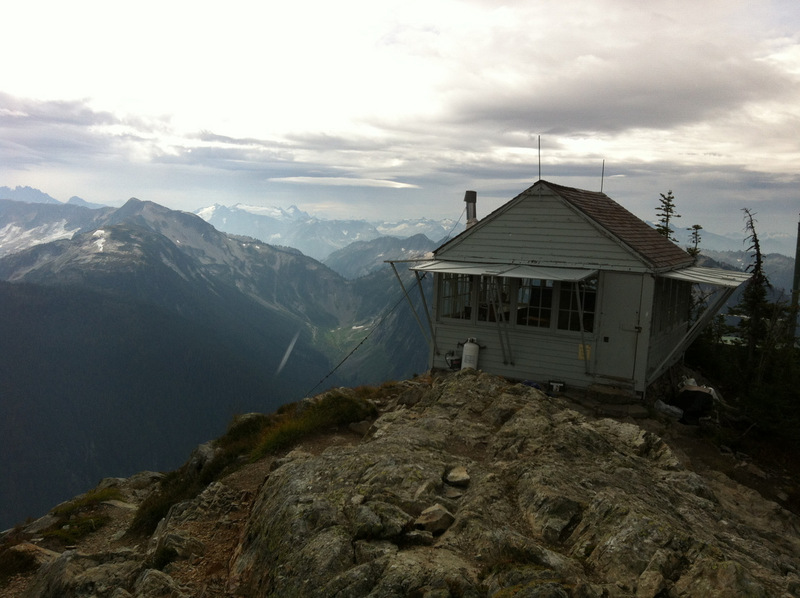 We climbed back into the subalpine and set up camp in the pouring rain. I’m under a tarp, but it’s raining on me. And thus was a lesson plan born. We (I’m back in the classroom now) sounded out the changes. What other prepositions can we sub in? How does that one change change the meaning, the feeling? The nouns and verbs stay the same. The pronouns stay the same. Only the lowly preposition changes. And yet with each change the whole carnival picks up stakes and shifts in a flash to a different world. The word for it is proprioceptive. I take the word from Olson and the image from Dickinson. Check out those nouns, those verbs, those preps. (I count one adjective.) And the feel of being in a mountainous vastness she can never have seen with her physical eye.